Seaford Town Council meets with the NHS to look at the healthcare services and provisions in the local area. On Tuesday 13th September, the Town Council will be holding a public meeting regarding the healthcare services and provisions in the local area. 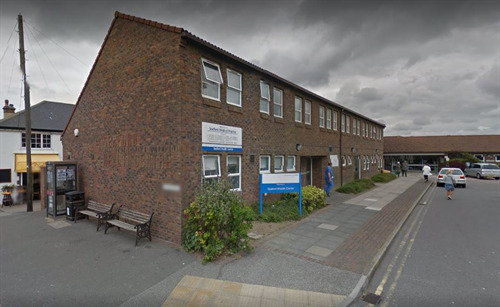 The East Sussex Healthcare NHS Trust and NHS Eastbourne, Hailsham and Seaford Clinical Commissioning Group will both be in attendance to give an overview on the quality of care in the local area, improvements that are being made and invite questions from the Council and members of public. East Sussex Healthcare Trust is keen to develop and increase its engagement with the public and the Town Council seized this opportunity for both the Council and local residents to interact directly with the organisations and bodies responsible for the healthcare in the local area. The meeting is being held at The View at Seaford Head in Seaford on Tuesday 13th September. The meeting will begin at 7.00pm. The View will be open as usual throughout the day and available to serve refreshments or food for those wishing it. This is a fantastic opportunity for local residents to get involved and the Council encourages those interested in the local healthcare services to come along; whether you have a specific question or concern or are looking to learn a little more about the NHS Trusts. Ample parking is available at The View at Seaford Head, which is located on Southdown Road, Seaford, BN25 4JS.